If you've driven through the intersection at College Avenue and Market Street this week, you've seen movement toward the opening of the bridge the borough has been constructing over Conoy Creek west of Market Street. On Tuesday, the bridge will open to traffic. I think I can speak for all 11,000-plus residents of E-town, and those in West Donegal Township: "Finally!" It has been a long time in coming. About four years ago, the first phase of the project -- the construction of a street from the railroad track past the Dove Chocolate plant to Conoy Creek -- was completed. That part of the project required closing West Bainbridge Avenue to traffic and redirecting motorists down West High Street. It was almost a year ago to the date that Borough Council approved the low bids for the construction of the bridge. 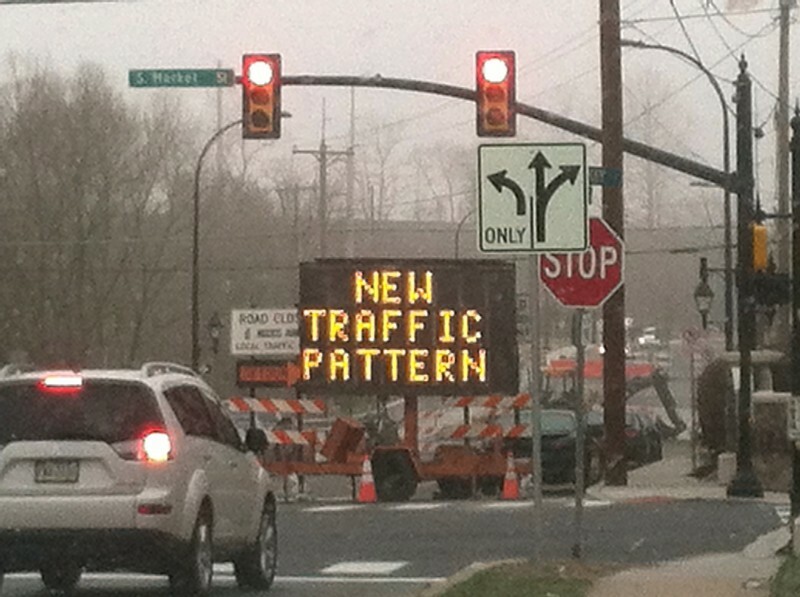 Thanks to Mars Inc., traffic did not need to use West High Street during this second phase. The company opened up its own property so motorists could make the dogleg on West Bainbridge around the factory. 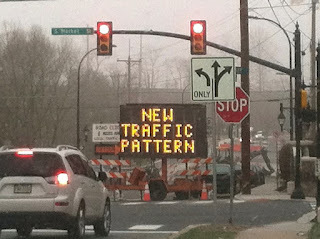 This week, the traffic lights at the intersection went on flash, indicating that they will begin operating soon. Borough staff told Borough Council last night that the street and bridge will open after the morning rush on Tuesday. There's still some work that needs to be done, including putting a final layer of pavement down from the railroad bridge to the newly constructed bridge. That will happen in April. Some other work to remove painted lines on Market Street will occur next week. In preparation for the opening, Borough Council in recent months renamed West College Avenue as West Bainbridge Street to help prevent confusion for emergency responders. The former West Bainbridge running between Brothers Pizza and ManorCare, which will dead end at the Mars factory, was renamed Union Street. The borough took on this project after Mars Inc. announced it wanted to expand production at the chocolate plant. To do that, the borough worked on a plan to reroute West Bainbridge Street, create the new intersection and build the bridge. The entire project is funded through federal highway dollars administered by the Pennsylvania Department of Transportation. Now to get the South Chestnut St bridge repaired!!! Not sure what you mean -- they're at the point where they're finalizing things and the work they're doing isn't as obvious. But I don't think we'd be at this point if they hadn't been working every day, especially with the fabulous weather we've had this winter. I think it's great that you use Facebook to keep your constituents updated on what's going on in town. Keep up the good work! Thanks, Jeff. I try hard to keep the word out there in as many places as possible. Please spread the word!